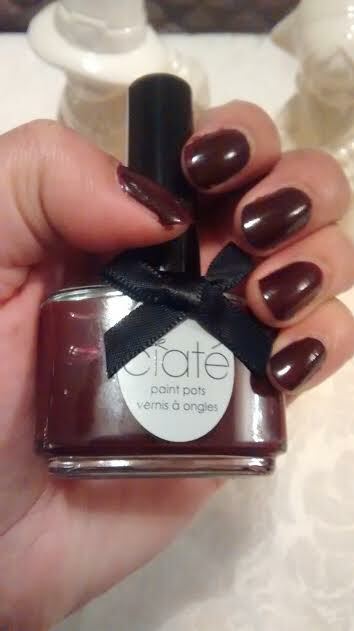 I used this Ciate nail polish in "Paparazzi" in my Birchbox LE box for Thanksgiving Weekend!! Normally, I don't buy or use Burgundy color, but I figure to give it a honest try!! The polish glides on my nails and I used two coats because one coat didn't seem right to me! I used no clear coat to see how long will it last which was pretty much the entire Thanksgiving Weekend under normal activities! I am glad that I got out of my usual nail polish "loop" and enjoyed trying my 1st ever Ciate nail polish via Birchbox!! 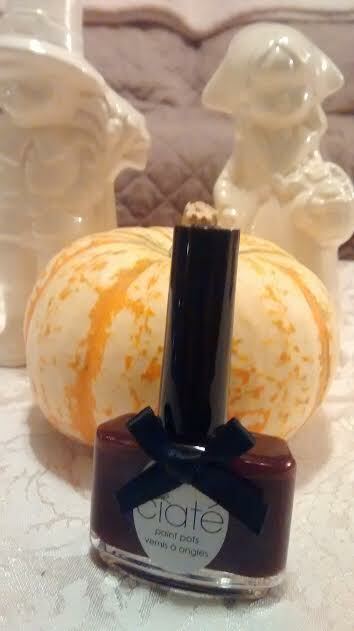 What is your experience with Ciate nail polish and what polish and shade did you use for your Thanksgiving manicure? Thank you! I kinda like this color too! I am glad that I took a break from the usual nail colors! I've never tried Ciate before but have heard only good things. I currently have a very chipped manicure from a grey Revlon polish, haha, so nothing special. But this is a very pretty (and festive) shade! I was dubious about this shade in my Birchbox LE but I decided to try it since its usually on trend for Fall/Winter season year after year!! It fit the mood of the Thanksgiving Weekend! I love love love this shade, Papparazzi! Looks gorgeous, Ursula! I adore this shade for Fall! Sadly, a particularly strong unboxing made me break three nails so I have not worn polish for a couple of weeks. I think this is a beautiful shade! But I personally love burgundy colors! Thank you, Laura! Most of these nail companies have similar names for the nearly similar colors! Thank you, Brigette! I glad that I tried them out on Thanksgiving Holiday! Hi dear, I like all your post very much, it tells me so many thins that I do not touch before, hope you can do this job all the time. By the way, I want to introduce a useful Free Photo Recovery Software, which is a fantasy. Hello, that color is a little bit too much for me and I really like some much lighter and warmer colors, like pink, light blue, and more. And, also thanks for your sharing and perhaps I can seek for more related brand to see whether there are my desired colors. And in return for your nice post, you may need best photo recovery software .